The Railsplitters joined us on The Music Room to talk about how the band’s sound has changed form traditional blue grass at the start of The Railsplitters 5 years ago, to their newer sound showcased in their newest album Jump In. We also learned about their upcoming European tour, and interesting places the band has performed before. The Railsplitters, recorded live November 14. 2017. As a band for 5 years, The Railsplitters have produced a self titled album in 2013, The Faster it Goes (2015) and their newest album released earlier this year Jump In. The band sticks to the traditional bluegrass instruments, but loves to invent new sounds and be creative. The band is currently made up of Lauren and Peter, who joined us on the interview, Dusty Rider on banjo, Joe D’Esposito playing fiddle and performing vocals and Jean-Luc Davis with the upright bass and also vocals. They are rounding out 2017 touring in Australia and starting the new year playing in Europe. John Reischman is a Grammy award winning mandolinist who started his music career in 1970. Since then, he has gone on to do both solo work and create albums with the band The Jaybirds. Reischman is known as a visionary for the mandolin and enjoys stretching the limits of his instrument and blue grass music. John Reischman and The Jaybirds just released their newest album On the Other Green Shore this year. John Reischman and the Jaybirds, recorded live October 17, 2017. 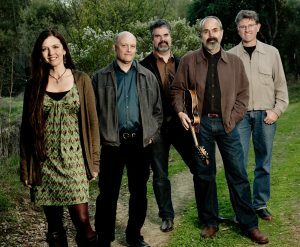 John Reischman and the Jaybirds is an allstar group of blue grass musicians that all bring immense talent to the table. John Reischman leads on the mandolin, Trisha Gagnon doubles as the bassist and vocalist, guitar is played by Patrick Sauber, Greg Spatz on the fiddle and Nick Hornbuckle rounds out the group on banjo. The group has seven albums, with the most recent On the Other Green Shore published in 2017. This album shows the band’s variety and individual talents, while having the amazing ability to come together to create fantastic pieces, despite living in different countries. There are many instrumentals written by John Reischman featured on the album, along with a collection of covers and previously prepared music. On this episode of The Music Room, Mandorichard sits down with bluegrass guitarist Tim Stafford. 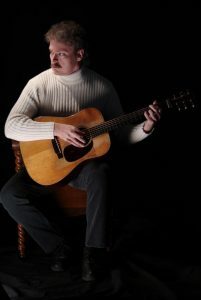 This past September, Stafford released his third studio album, Acoustic Guitar. Mandorichard and Stafford discuss his music, his teaching at two different universities, his guitar playing, and his band, Blue Highway, that he’s played with since 1994. Listen to the interview below to learn more about the life and music of Tim Stafford. Stafford is a renowned songwriter from Kingsport, Tennessee. Tim began playing guitar in the mid-1970s, and in 1994, formed his band Blue Highway. The band is one of the most decorated and influential in bluegrass history, having been nominated for 3 Grammy Awards, winning a Dove Award, and 30 IBMA Awards. In 2014 and 2017, the International Bluegrass Music Association named Stafford Songwriter of the Year. In addition to his music career, Tim has his PhD in History, and has taught courses at several colleges and universities.